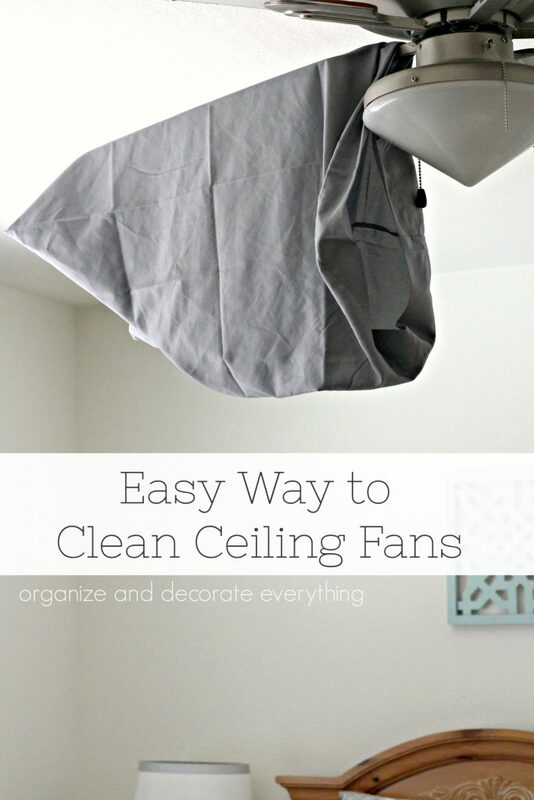 Don’t like dust flying around everywhere when you’re cleaning the ceiling fans? 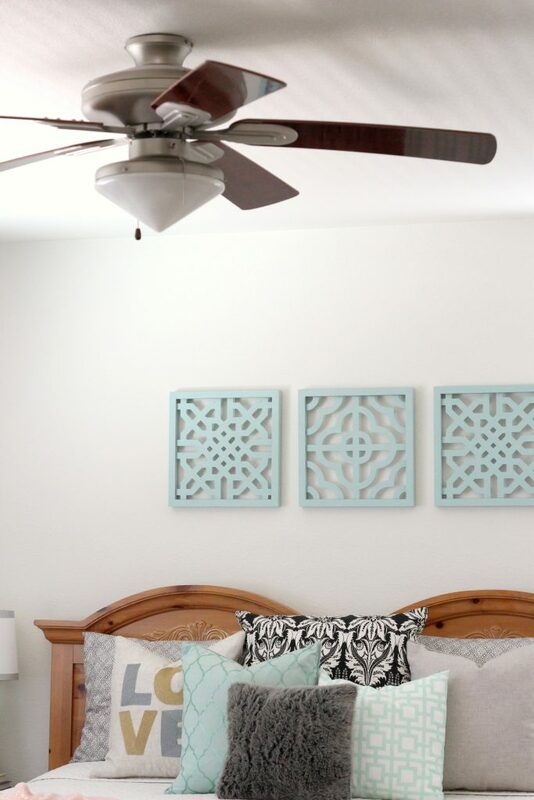 I’m sharing my easy Way to Clean Ceiling Fans while containing the dust. I’m embarrassed to say that this is my ceiling fan. Apparently it got skipped when I cleaned them all last month. Anyway, it’s a good way to show you how quick and easy it is to clean a ceiling fan with a pillow case. The blade in the back has already been dusted. Simply slip the pillow case over each blade and rub off the dust as you’re slipping the case off. Ta-da! That’s it! This sounds like a great new chore for the kids, don’t you think? 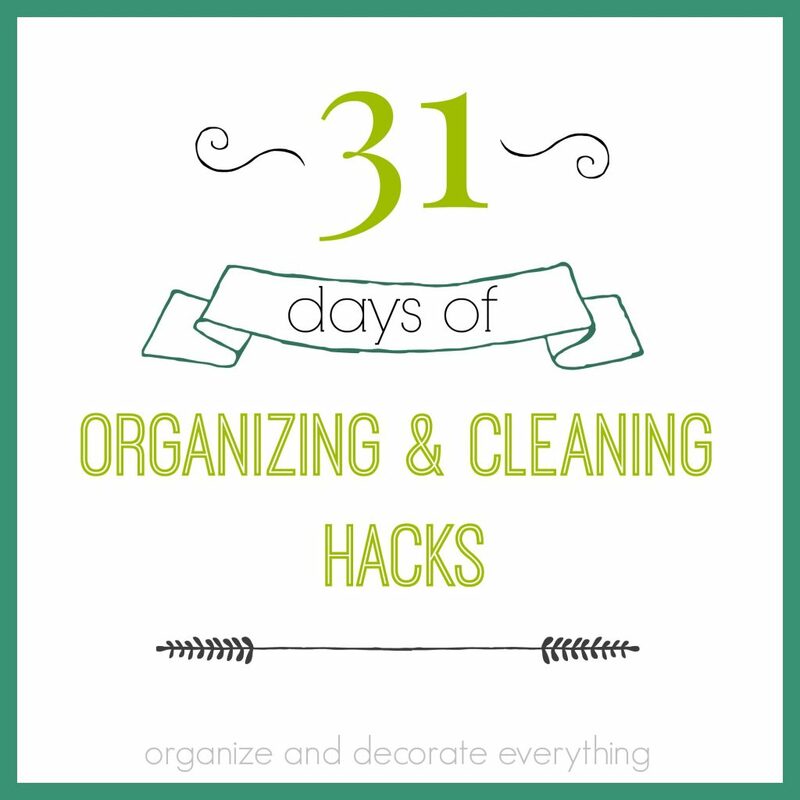 It only takes a few minutes and the dust doesn’t fly everywhere as you’re dusting because it’s contained in the pillow case. 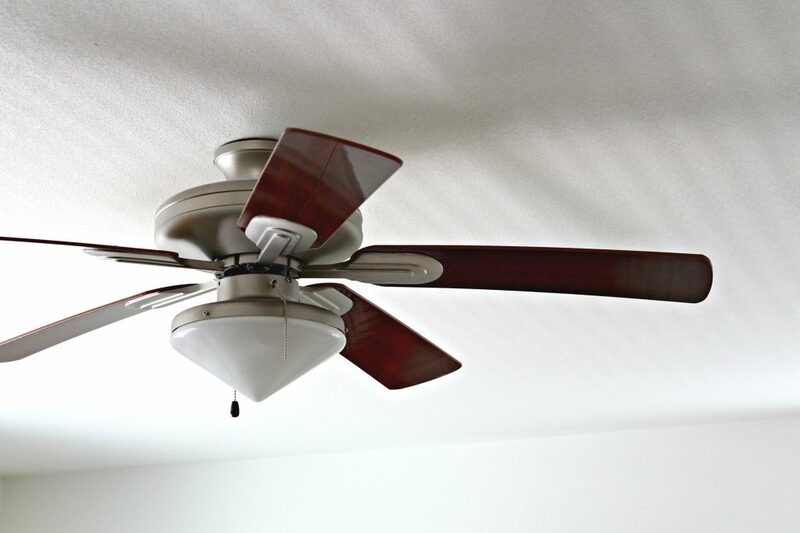 One of my biggest pet peeves was while dusting ceiling fans the dust would float down and settle on anything under it, even my clothes. A simple pillow case solved that problem. No more having to vacuum the furniture or rug under the fan. I dust all the ceiling fans once a month and we run them almost all year round. Okay, ignore that I forgot to dust mine last month since it made for a good before and after photo. 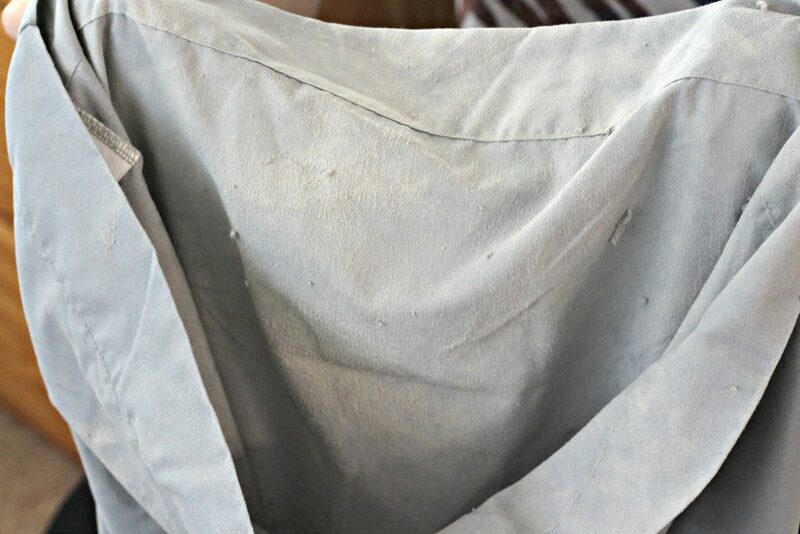 It might be a little hard to tell but all the dust has been caught inside the pillow case. I don’t know why I choose to use a gray pillow case but I think you can see some of it. Now you just throw it in the washer and it’s as good as new. 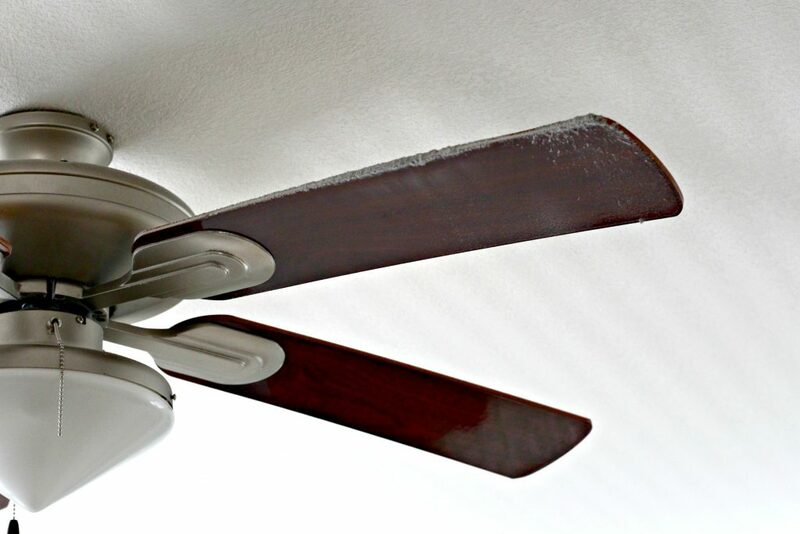 Try this technique next time when you dust your ceiling fans and let me know how it works for you. Hey Leanneja, this is a very easy yet handy tip. Gotta try it today hopefully.